Nintendo announced that Super Mario Odyssey will not have a game over screen. How will this affect the gameplay and mechanics of the game? Nearing the release of Super Mario Odyssey for the Nintendo Switch, Nintendo recently announced that the game have no game over screen. Does this mean that the game will be much easier unlike the previous games? Well, not quite. Instead of showing “game over” once Mario loses lives, he loses 10 coins and respawns to a nearby checkpoint. Also, each world in the game is no longer separated into levels, the completion of the world is now indicated by how many Power Moons you collected in that specific world, similar to how the Stars work in Super Mario 64. In the Mario Odyssey JP Twitter Page, they stated that “there is no Mario GAME OVER screen no matter how many mistakes you’ve made”. The concept of GAME OVER is not present in this game. Instead, Mario loses coins and restarts to an area near the place where he is previously beaten. In a GIF inside the tweet, Mario Odyssey JP showcases this new concept. It shows that whenever Mario loses lives, either by being hit or falling down a platform, Mario will gasp and jump while losing 10 coins. After the screen blacks out, the game indicates how many coins you’ve lost. In contrast to the fact that Mario loses 10 coins instead of game over, Mario Odyssey JP says that a game over screen will not show up even if Mario has 9 coins or less. Over the years, the Super Mario franchise is built around the concept of trial and error. You will constantly have to repeat a level in order to get good at it and memorize its pattern. The classic Game Over screen Mario is in is a reminder that you should get better at the game. 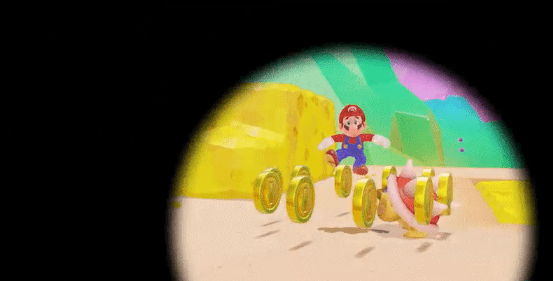 However, since they will remove an essential part of the Mario game, Nintendo ditches the usual Mario formula in exchange for new and exciting gameplay.